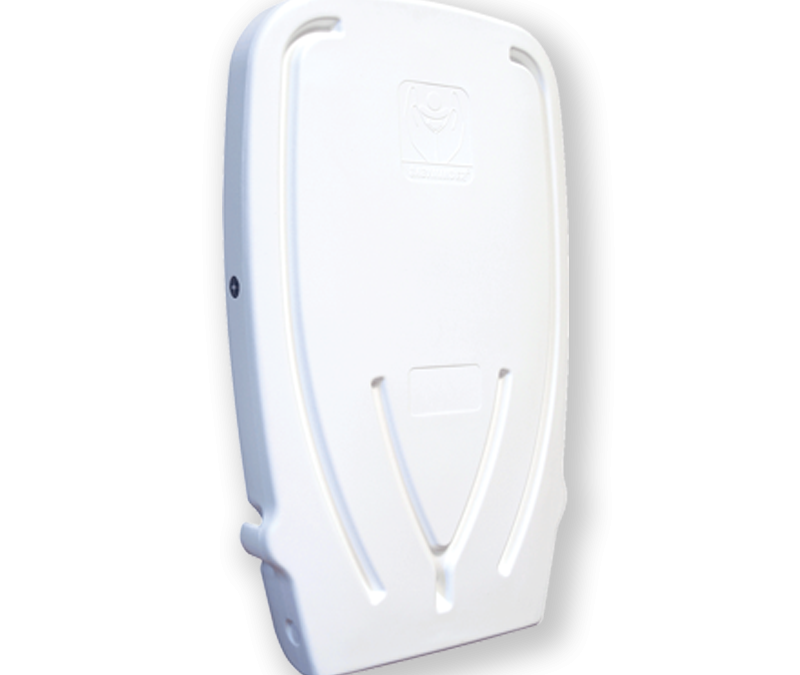 The babyminder changing unit is specifically designed for use in away from home locations, providing parents and carers with a safe and secure surface to change a child. 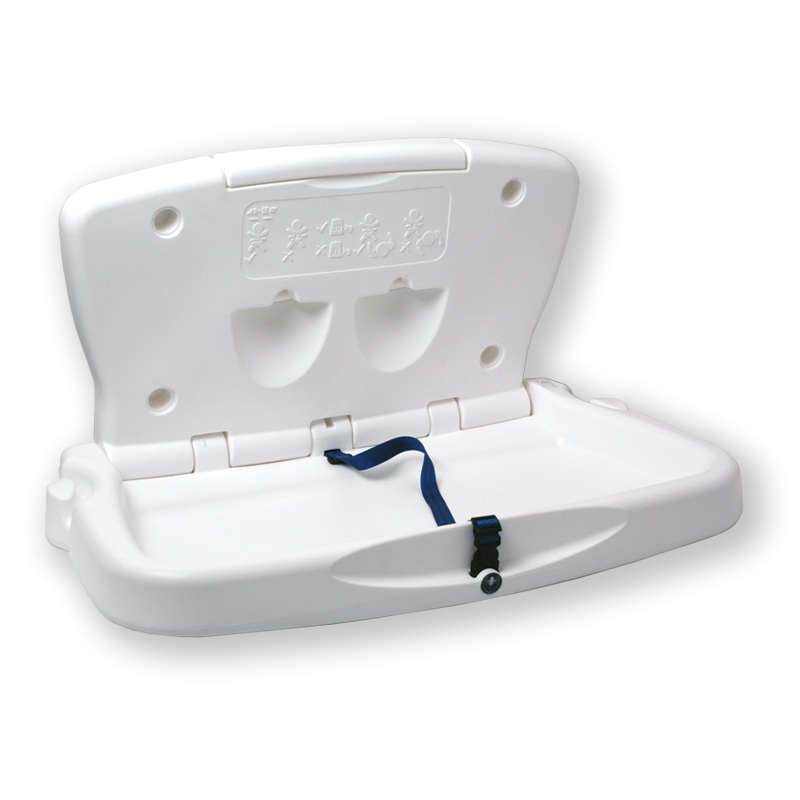 Babyminder changing units exceed the highest European standards demanded to ensure a safe and hygienic provision of dedicated baby change facilities. Providing these services are now considered as equal importance as the provision of other essential facilities. 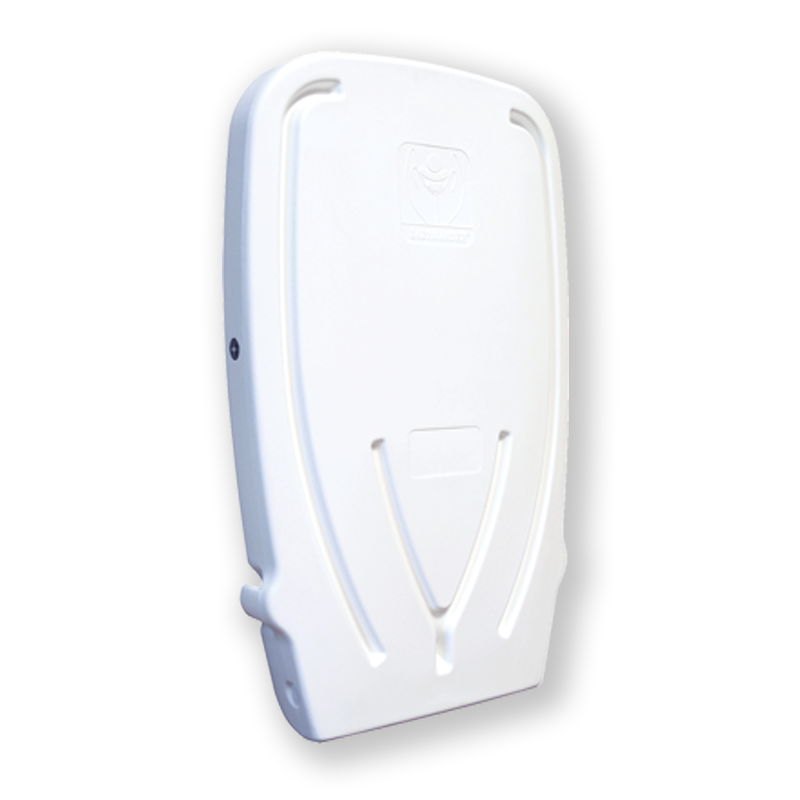 This unit is made out of high quality micro textured L.D.P.E and are wall mounted for maximum safety. 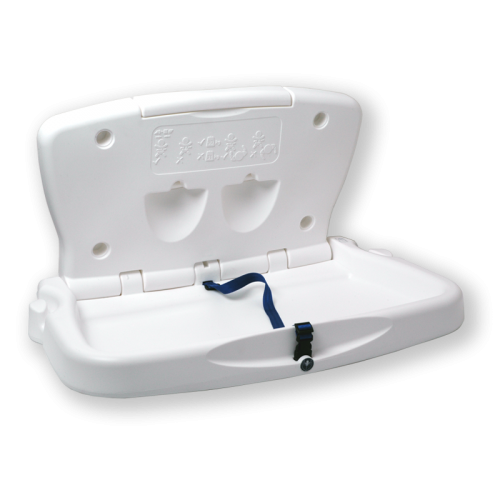 For peace of mind, two durable straps enable the child to be securely held in place on the innovative Babyminder changing unit whilst the parent or carer is changing the child. Tested up to 100kg, the Babyminder changing unit opens to an 87° angle, creating a slightly tilted changing surface. The gas strut mechanism prevents the Babyminder changing unit snapping shut, further enhancing safety in use. The vertical mode is designed specifically for smaller areas where wall space is a consideration.